Any body can climb! 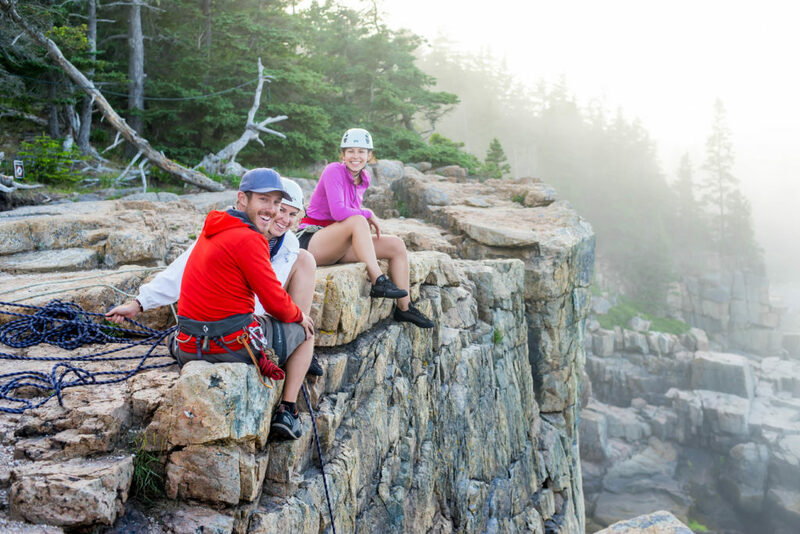 If you’ve never climbed or if you’re looking for a climbing partner, let Acadia Mountain Guides show you the best climbing spots in Acadia. This is our home turf and we enjoy sharing it! 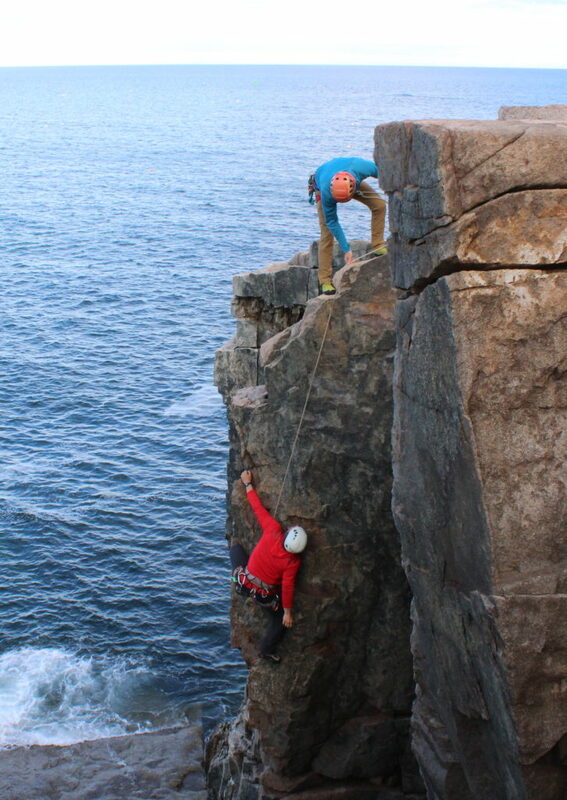 Acadia Mountain Guides is Acadia’s oldest climbing school. 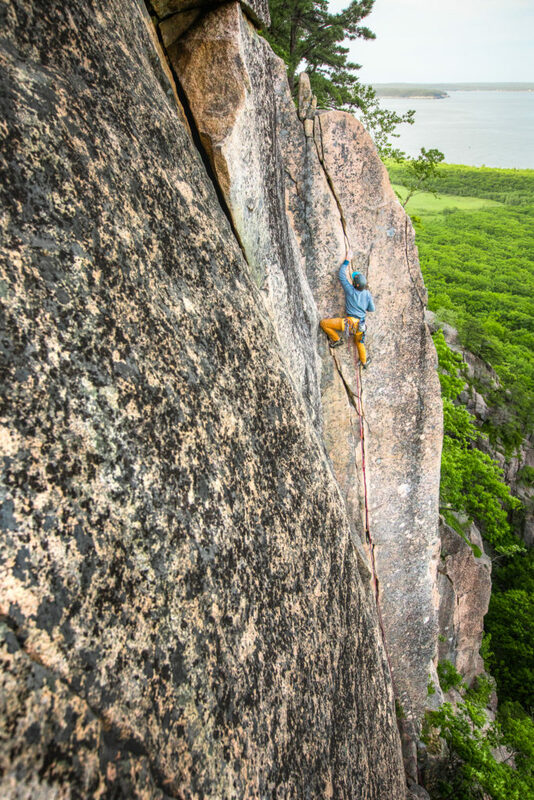 School owner, Jon Tierney, has been climbing, instructing and guiding in Acadia since 1983. 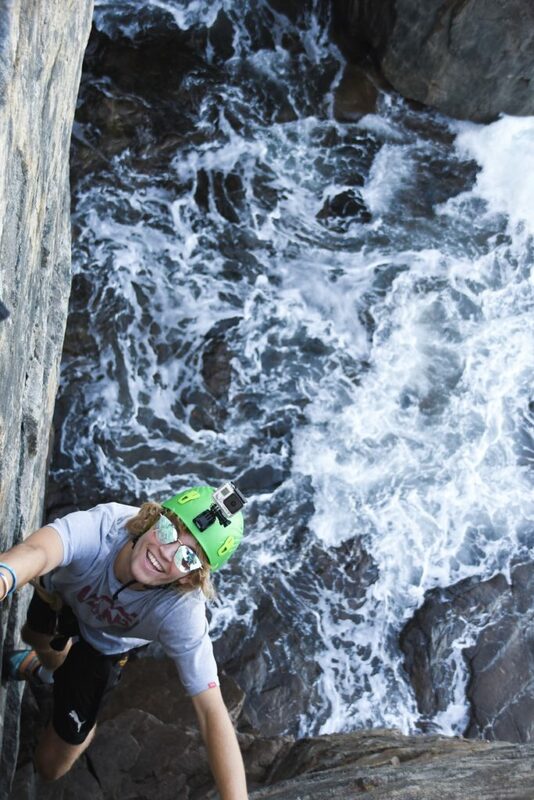 Rock climbing in Acadia National Park is an unforgettable experience. Dramatic sea cliffs of pink granite and breath taking inland escarpments offer routes for all abilities, ages, and fitness levels. We guide all over the world, from the Rockies to the Andes, from the Alps to the Himalaya, but we keep our home base here in Acadia. Most locations are minutes from downtown bar harbor. We think that after you have climbed here you’ll understand why! One of the few true sea cliffs in the United States, Otter Cliff is known by climbers around the world. 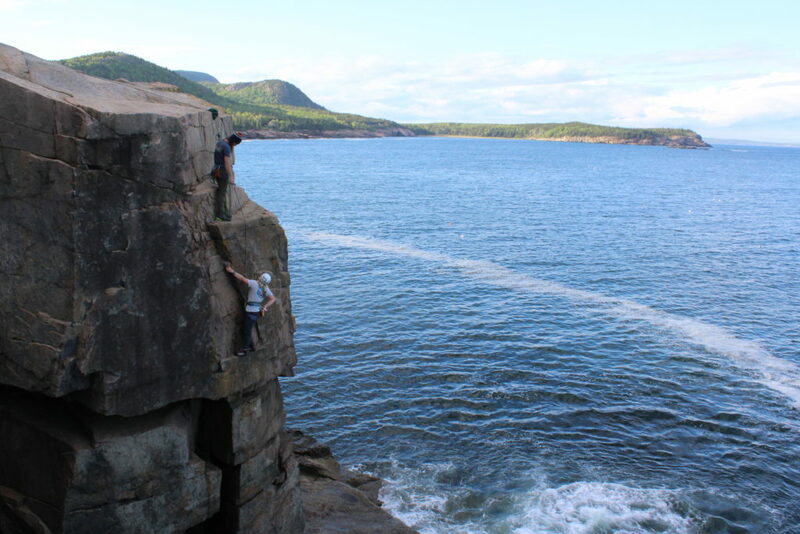 Easy access and a great variety of climbing routes make this a must do for climbers visiting Acadia. Otter Cliff offers a wide range of terrain for beginning through advanced climbers. The walk to Otter Cliff from the park loop road is very gentle and takes less than five minutes. Climbing at Otter Cliff is best done by rappelling down to the base and climbing back to the top. 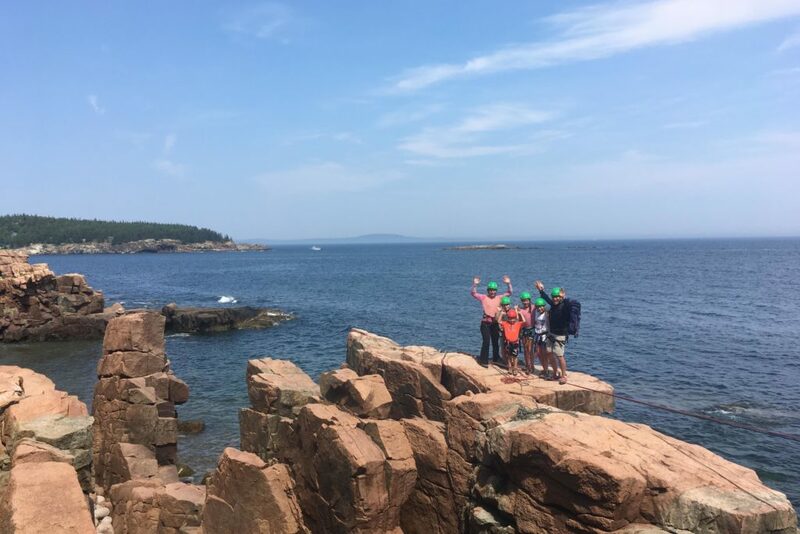 These cliffs were featured in the the 2010 Paramount movie Shutter Island for which Acadia Mountain Guides provided site management, rigging and a stunt double climber for Leonardo de Caprio. South Otter is an extension of Otter Cliffs that AMG pioneered as a great teaching site several years ago. It offers the same vista as Otter but boasts a large selection of easier and less intimidating terrain than the main part of Otter. Much of the terrain can be approached from the bottom making for more social and climber friendly belays. Less than five minutes from the car. The quality of the rock on the South Wall rivals climbing anywhere. Superb corners and cracks in fine grain pink granite overlooking Frenchmen’s Bay! Who could ask for more? Routes here extend up to 300 feet off the ground. The South Wall features a wide range of climbs – ideal for both beginners and seasoned climbers. We spend many days sharing the rope with experienced climbers who are seeking the benefit of local knowledge, who want to get a lot of climbing done in an day or are just plain without a partner. Precipice Ledges Left, Precipice Ledges Right, Story of O. The South Bubble overlooks Jordan Pond and the Cranberry Isles. This bottom area features some lower angled climbs that turn from hiking to climbing without you hardly knowing. If you are looking to see how longer climbs get done or want to climb to a mountaintop, the Bubbles offers close to 400′ of relatively easy multi-pitch climbing. Combine this with a an easy hike to Jordan Pond for tea and you’ll think you are in Europe. Ask about it. The best! We had a lot of experiences during our east coast vacay that included Boston, Plymouth, Cape Cod, and Acadia. Our unanimous favorite was rock climbing on Otter Cliffs with Paddy! My husband and son are afraid of heights and went into it expecting to possibly sit out and watch. They both rock climbed and loved it! Paddy was an outstanding instructor that instilled complete confidence. I can’t say enough good things! The views were breathtaking and the climbing was exhilarating. From booking our reservation, the reception in store, to our climbing instruction- complete professionalism! The store is amazing too with lots of great gear and outdoor items for sale. Last- we did a half day trip which was perfect.